View cart “10 Port USB 2.0 AC Charger with 4 Port Hub” has been added to your cart. New Coolgear USB 3.1 Hub with 2 Type-C and 2 Type-A downstream ports providing up to 10Gbps Data transmission. It includes a rigid Wall and DIN Rail Mounting Kit to support both USB-A and USB-C connections securely. 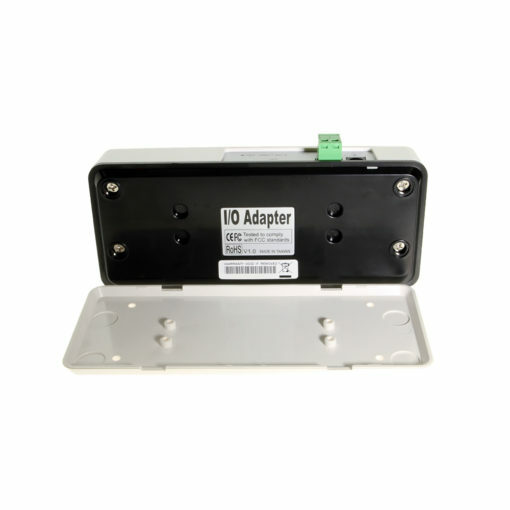 It is backward compatible with your earlier versions of USB data speeds, light weight, and versatile. USB 3.1 Gen2 Compliant up to 10Gbps Data Speed, built with VL820 Chipset inside. Includes a rigid Wall and DIN Rail mounting kit. The CG-4P31CHUB USB 3.1 Type-C Hub is a light weight hub with a DIN Rail Mounting Kit. This hub supports USB 3.1 Super-Speed Plus (10Gbps data transfer) with (2) USB Type-A female and (2) USB female Type-C downstream ports. 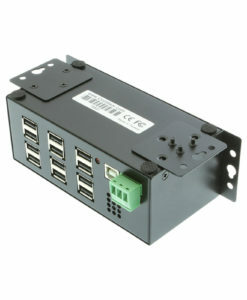 The CG-4P31CHUB USB 3.1 Type-C Hub uses a 2-pin terminal block connection for input power of +7 – 24V DC for the downstream facing ports (power supply is included). It is backward compatible with 5Gbps (Super-Speed), 480Mbps(High-Speed), 12Mbps(Full-Speed), and 1.5Mbps(Low-Speed) data rates. The plastic Mounting plate for the DIN Rail Clips snaps on to the bottom of the hub for secure mounting. Upstream information is carried with the USB-C connection on the back panel of the hub. Rigid plastic Wall and DIN Rail Mounting Case. The 4 port USB 3.1 Gen2 USB Hub has certain accessories that work with it. These accessories are what you can order if needed.